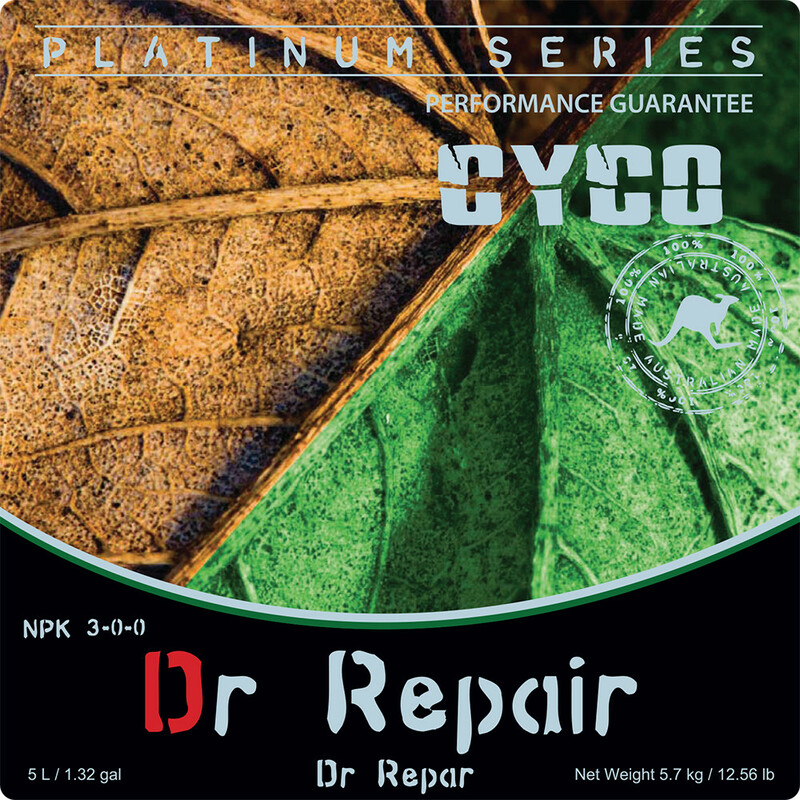 Cyco Dr. Repair treats chlorosis and environmental stresses. Chlorosis is a yellowing of leaf tissue due to a lack of chlorophyll. Possible causes of chlorosis include poor drainage, damaged roots, compacted roots, high alkalinity and more importantly nutrient deficiencies in the plant. Environmental stress can damage plant function or its development which shortens the time for photosynthesis and in turn reduces yield. The lack of iron is one of the more common nutrient Deficiencies in plants associated with chlorosis. 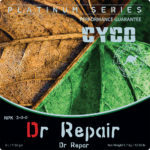 Dr. Repair helps to restore your plant to its full potential. 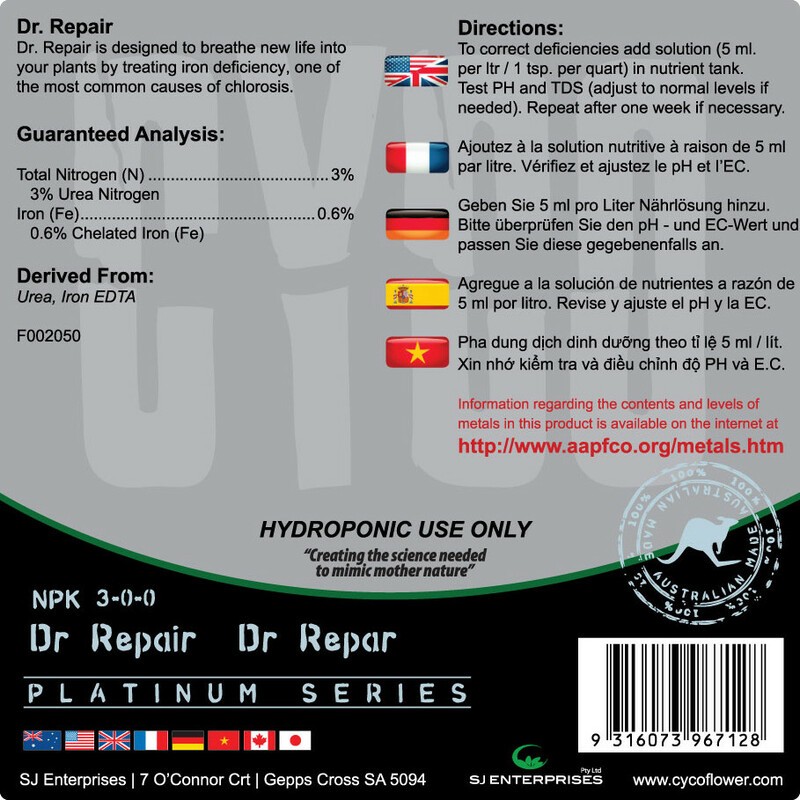 Does you’re plant need first aid? Essential for strong development of new cuttings. Uncertain of what deficiency you’re plant is suffering from? Maximize you’re plant’s growth potential. 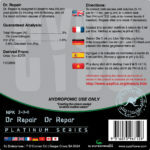 To correct deficiencies add solution (5ml per litre/1tsp per quart) in nutrient tank. Test PH and TDS (adjust to normal levels if needed). Repeat after one week if necessary. 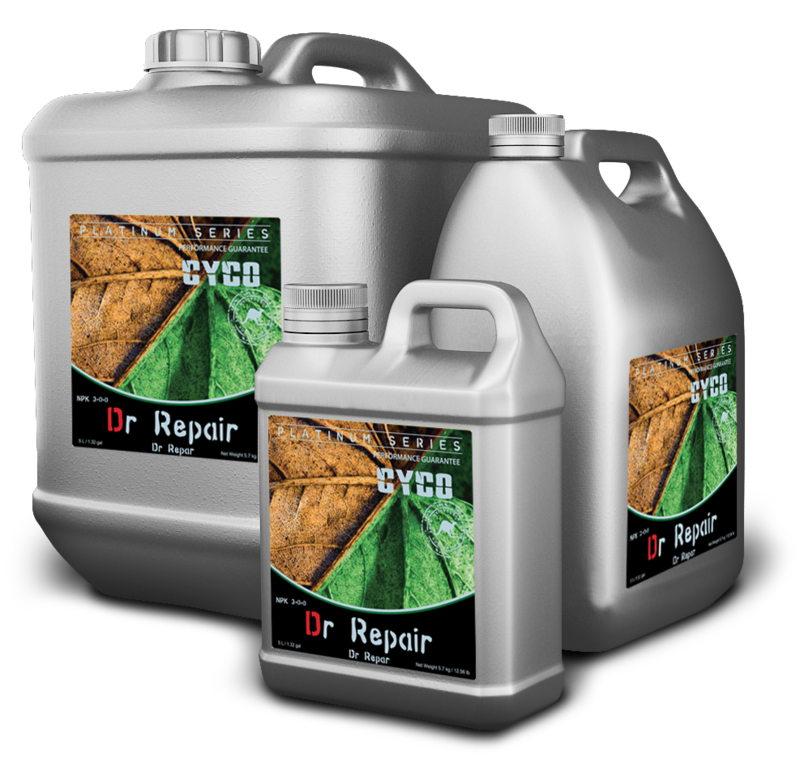 Description: Cyco Dr. Repair treats chlorosis and environmental stresses. Chlorosis is a yellowing of leaf tissue due to a lack of chlorophyll.